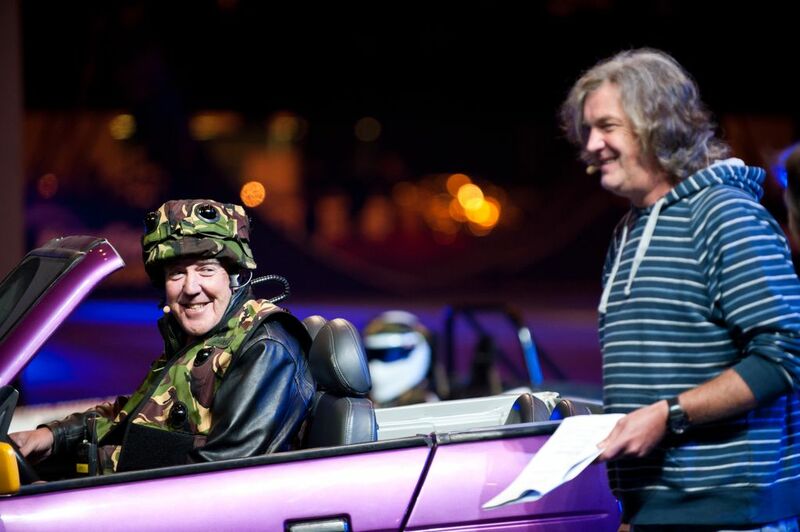 Postcard from Top Gear Live 2012. So this year’s Top Gear live event. Having never been before I thought that I had a pretty good idea of what to expect and I was right. In essence this is a slice of the show that you see on TV, just put out to a live audience. This event is definitely a show rather than an exhibition. 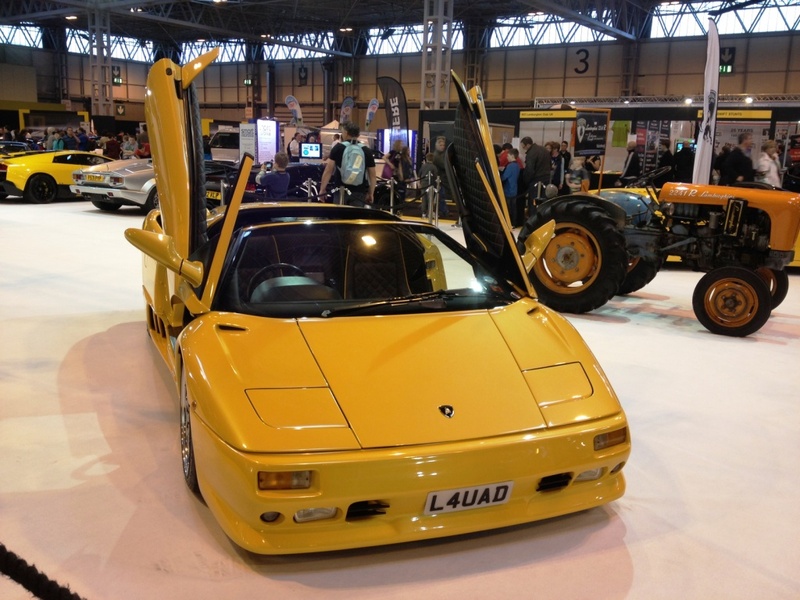 I was half expecting lots of car manufacturer displays, stalls, memorabilia, like you get at other shows such as the Classic Motor Show (win tickets here to this event) or Goodwood Festival of Speed, but that was not really the case. There were two main areas where everything took place, the show area were Clarkson, May and Hammond (plus the Stig of course) did their stuff (bizarrely with 5th Gears Tiff Needell and Vicki Butler-Henderson hosting the first part), then in another hall, a few resellers, car displays, food and drink, cool wall and that was about it. You could see everything in the non-show hall within 1-2 hours. It’s no doubt a good day out for the family, but I would say, taking young kids (under 7-8 years old) is a parents call to make. Just be aware that Clarkson and co. are close to the mark sometimes with the words they use and references to adult content. I personally thought that I was glad I did not take my 6 year old and I will be holding off until he is 8 I think. A family ticket costs £156 (plus booking fee) which is not cheap, but it does get you closer to the stars than you might get a chance otherwise. You’ll just have to decide if it’s worth it! Value will always be subjective. At £50 minimum ticket price, £100 if you want a platinum ticket, one could argue that you will get better value at other UK events, plus get closer to the stars. If you really want to get close to the Top Gear action, this is probably as close as you will get, however, don’t expect to see the stars close up, or grab an autograph or two, for I could not see them while I was there doing so, which I found surprising. The show itself was good, entertaining, loud, with some great driving from Ken Block (mega driving skills), Stig and the Top Gear stunt team. In summary, if you love Top Gear and want more antics from Clarkson, May, Hammond and Stig, which you see on the show, then you’ll enjoy this day out. But you will be paying a premium for the privilege. For more Top Gear related articles, posts, news and competitions click here. A selection of our photos from the day can be seen here, or visit our Facebook page to see them all.